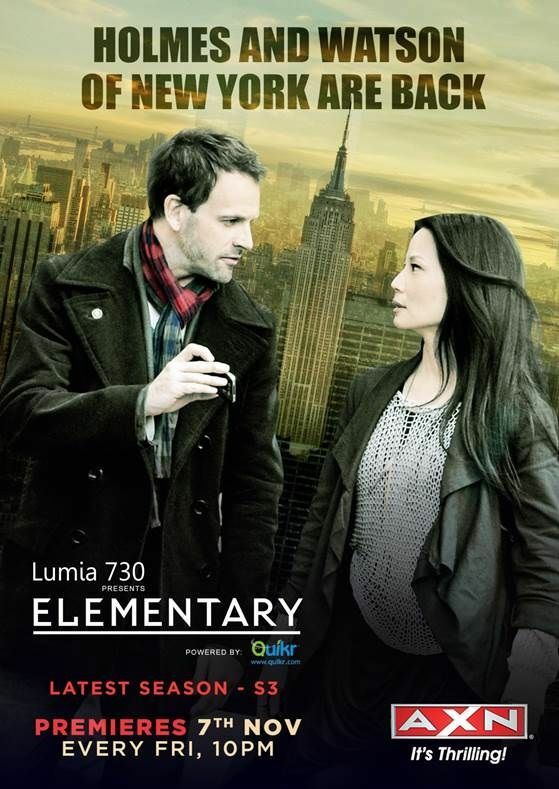 AXN India’s another treat for ‘not so ordinary weekend’ is here with Elementary Season 3 premiere. The popular crime solving duo Sherlock and Watson are back to New York to give you the best of the weekend, that too much ahead of everyone else. The series would be aired four days prior to its UK launch which is a treat for the die-hard loyal fans of the show in India. The last season ended with a clash between the detectives, Watson played by Lucy Liu and Sherlock played by actor Jonny Lee Miller. Sherlock left New York to work with MI6 and Watson moved on with her life. Watch new season to know the interesting twist and turns in the dynamic relationship of the duo. Making your November full of fun, the channel is setting a new trend in bringing shows in India prior to their release in the west. So all you fans of crime and investigation and followers of Sherlock, gear up! Get ready to watch the edge of the seat series only on AXN every Friday at 10 PM premiering Nov 7th 2014.